Is NeoGraft a Solid Choice for Hair Restoration? 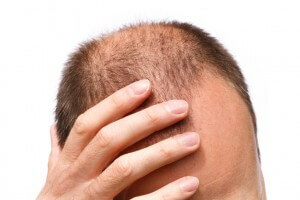 Hair loss is a condition that effects men and women. It can rob you of your confidence, self-esteem, and a great deal of your assertiveness in both your personal and your professional life. That is why hair restoration is such a big deal to many who are experiencing genetic hair loss. There are many options on the market today, but one that is changing the way hair restoration works is the NeoGraft technique. In the past, those who were interested in a hair transplant would undergo a procedure in which a strip of the scalp was surgically removed so that hair follicles could be harvested from that strip. Once the procedure ended, the follicles were harvested and transplanted elsewhere. However, a large and noticeable scar remained that many men and women found embarrassing. That is, of course, in addition to the discomfort of the procedure and relatively long recovery time. The NeoGraft procedure still recovers follicles from a strip of hair along the back of your head. It differs from traditional hair transplants in that the follicles are harvested directly from the scalp without requiring the removal of a section of scalp. In other words, the scalp remains intact. You get the benefits of hair replacement without the discomfort and embarrassment of a long scar. Shorter recovery time. Hair typically regrows to the strip within one week and patients are free to resume normal activities within a few days of treatment. Less pain. There are no staples, no incisions, and no healing scar to contend with in the aftermath of the procedure. Natural looking hair. The beauty of the NeoGraft procedure is that it uses your own hair. This hair, once transplanted will grow normally – looking healthy and natural. Minimally invasive. The process utilizes the latest technology for a procedure that is the least invasive available today. If you’ve been searching for a minimally invasive hair transplant process, now is the time to contact Dr. Adam Y. Goldman of New York Metrovein in Yonkers, New York. He offers several restoration and hair transplant procedures, including the NeoGraft procedure. Contact us today for your free consultation.